Show me your dream house and I'll show you the unbelievable homes of diatoms. Where did we go wrong? 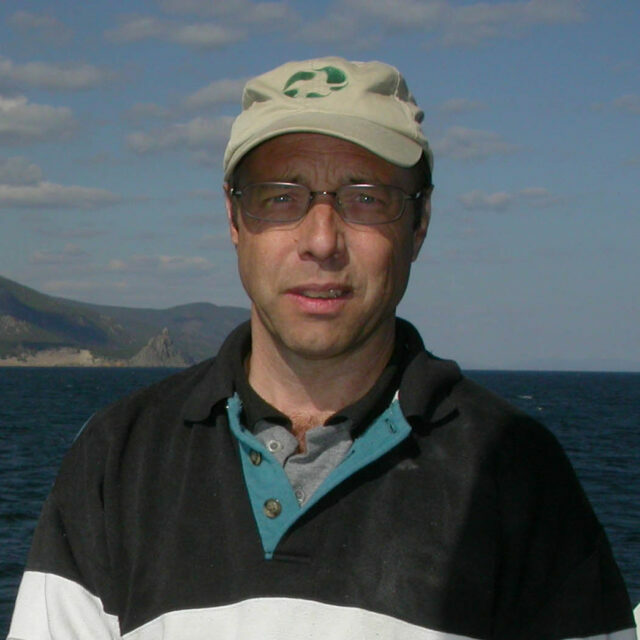 Paul B. Hamilton received his M.Sc in Freshwater Aquatic Biology from Waterloo University of Ontario in 1983 and undergraduate degree in biology from the University of Western Ontario. His thesis research was on watershed dynamics, primary productivity and energy transport. Paul has worked at the Universities of Guelph and Waterloo on the impacts of pesticides and acid rain on aquatic environments respectively, before moving to the Canadian Museum of Nature in 1984. At the museum Paul has conducted taxonomic and ecological studies across Canada, the United States, Mexico and Indonesia. Paul is the present curator of CANA (the National Phycology Collection of Canada) which holds more than 81,000 samples. Current research projects include: climate change, water quality and microscopic life in the high Arctic; water quality and microscopic life in lakes and ponds from Florida to Ellesmere Island, North America; biodiversity, speciation and endemism studies in ancient lakes from Sulawesi, Indonesia; regional water quality and biodiversity studies on selected rivers across Quebec and Ontario, Canada; Impact of controlled nutrient enrichment on the primary producers of Kootenay Lake, British Columbia, Canada; the study of anthropogenic disturbances on lakes adjacent to urban centers, Oak Ridge Moraine, Ontario, Canada; the impact of organic contaminants and mercury on aquatic systems in northern Canada. Paul has personal interests in history, natural history, and a special love of solo canoeing and kayaking. Through his scientific journal he has authored or coauthored the description of 27 new species and two new genera, coauthored 3 books on diatom taxonomy and ecology, and published 83 reviewed scientific papers, and 37 technical reports and popular articles.